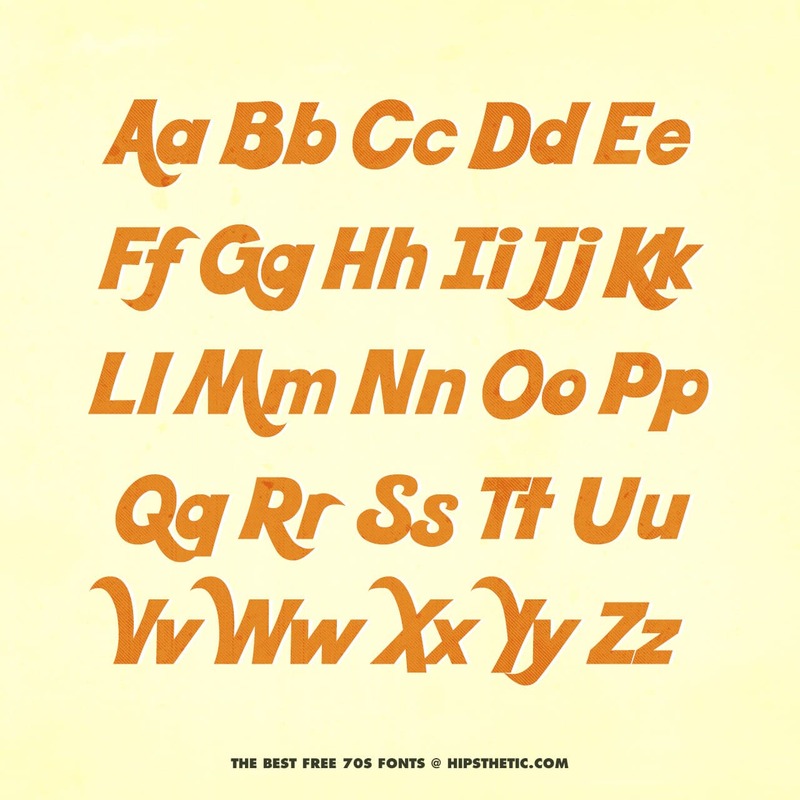 We’ve catalogued the best free 70s fonts, available from around the web. 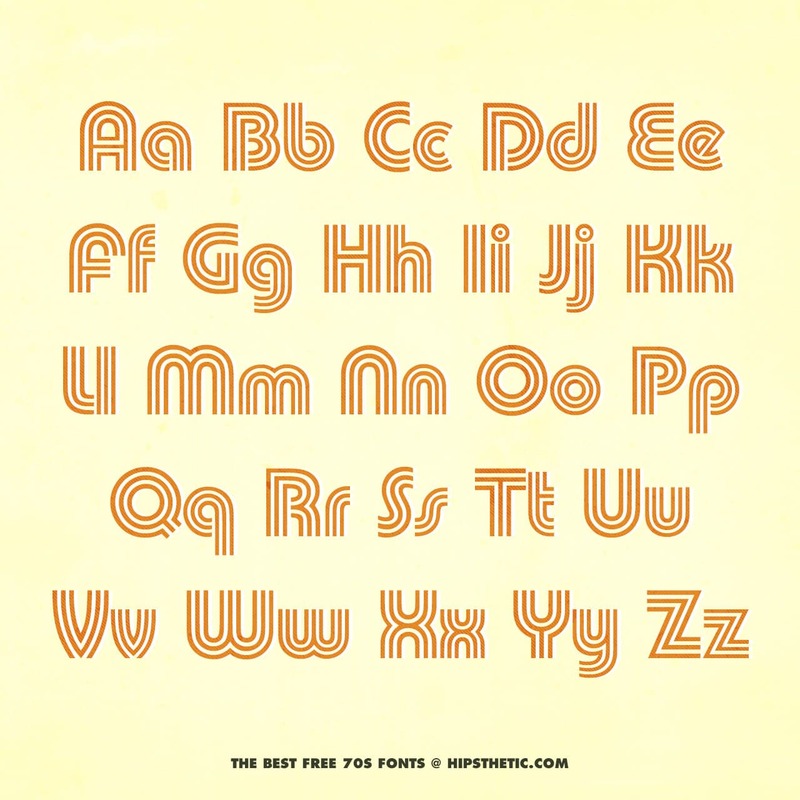 We found amazing, free 70s fonts in loads of different styles – digital, script, serif, rounded and multi-stroke. Each is perfectly suited to a retro-leaning web and print project. 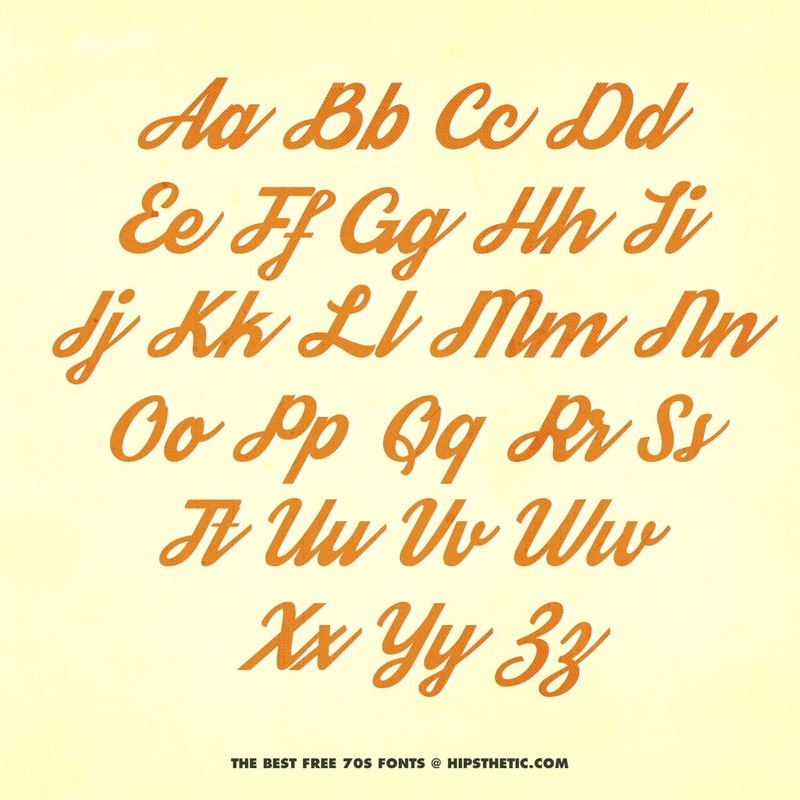 You might also want to check out our lists of the best free 80s fonts and vector packs. 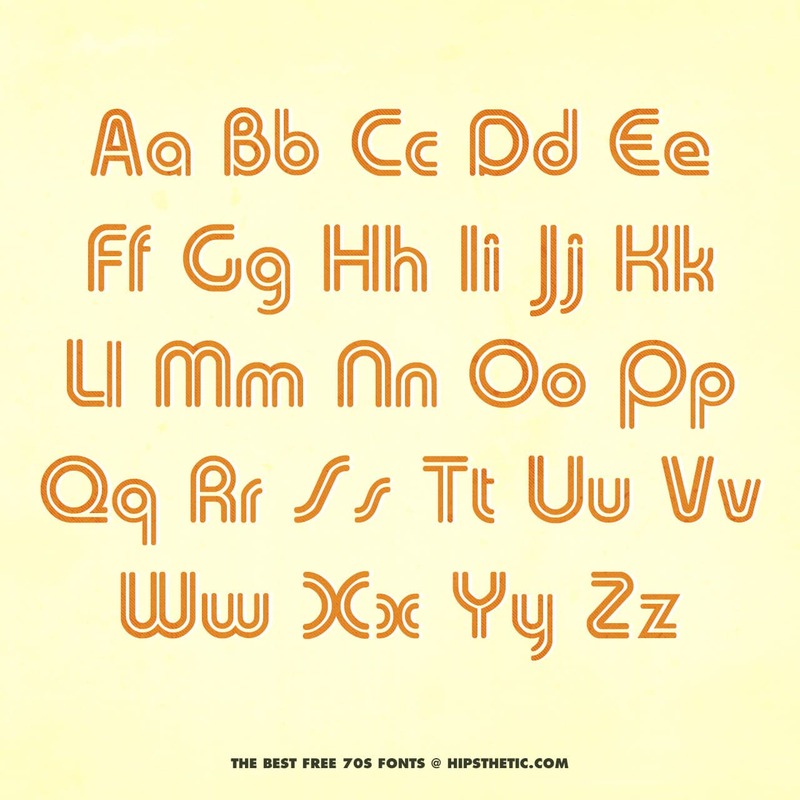 A typically 70s curvy font with rounded points, created by Fontalicious. Available for free at three weights, one of which, alba super (pictured below) makes great use of stroke and offset drop shadow detailing. A cool 70s font, with a sharp, sci-fi feel created by Othmar Motter for Vorarlberger Graphik in 1975 and distributed by Berthold Fototypes and Letraset. 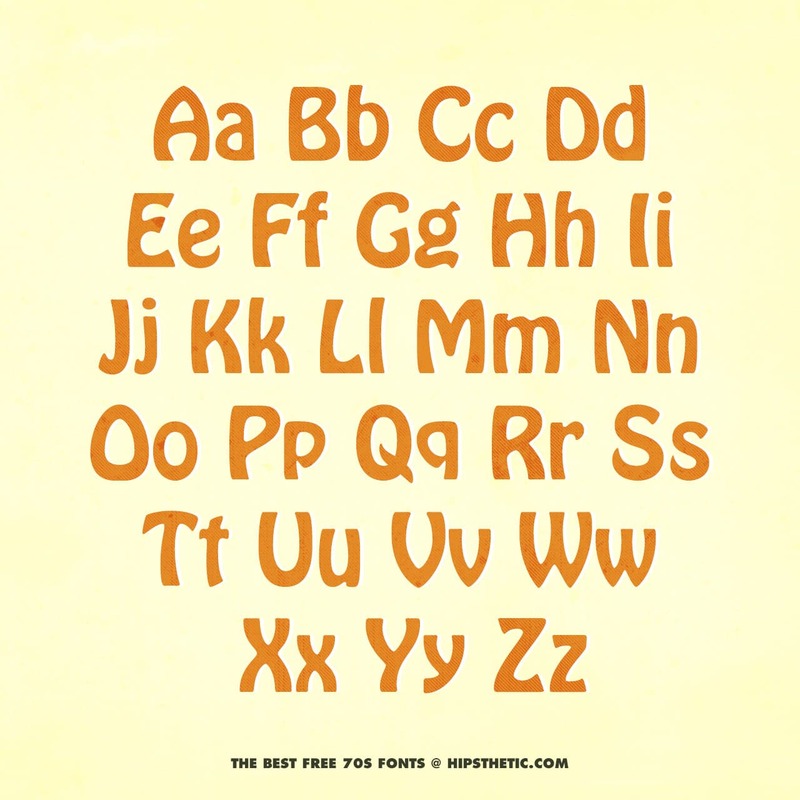 A comic book-esque, cartoon font with an irregular, hand drawn feel. 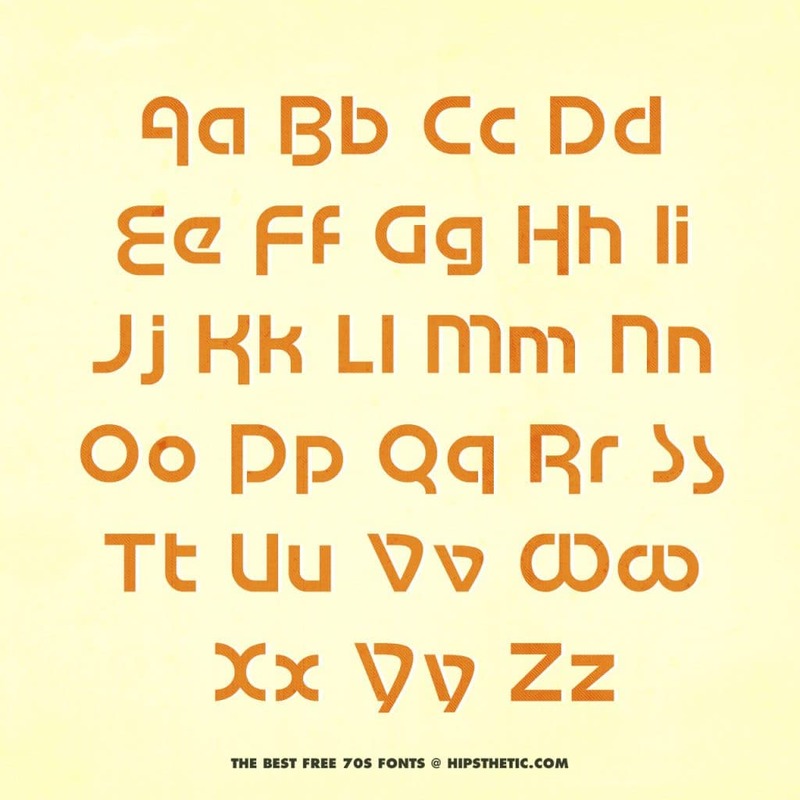 It’s the kind of font you might expect to see adorning the cover of first 7-inch release by an 70s prog band, probably called something like ‘Dr Time Machine’s Favourite Stopwatch’. 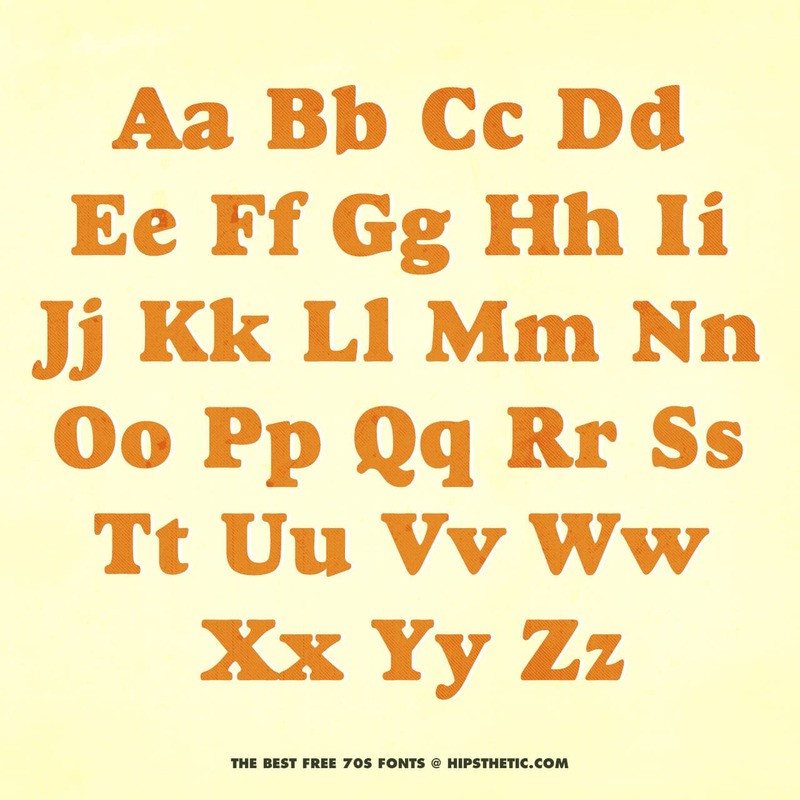 A strong wedge serif Letraset face, created by Philip Kelly in 1977. 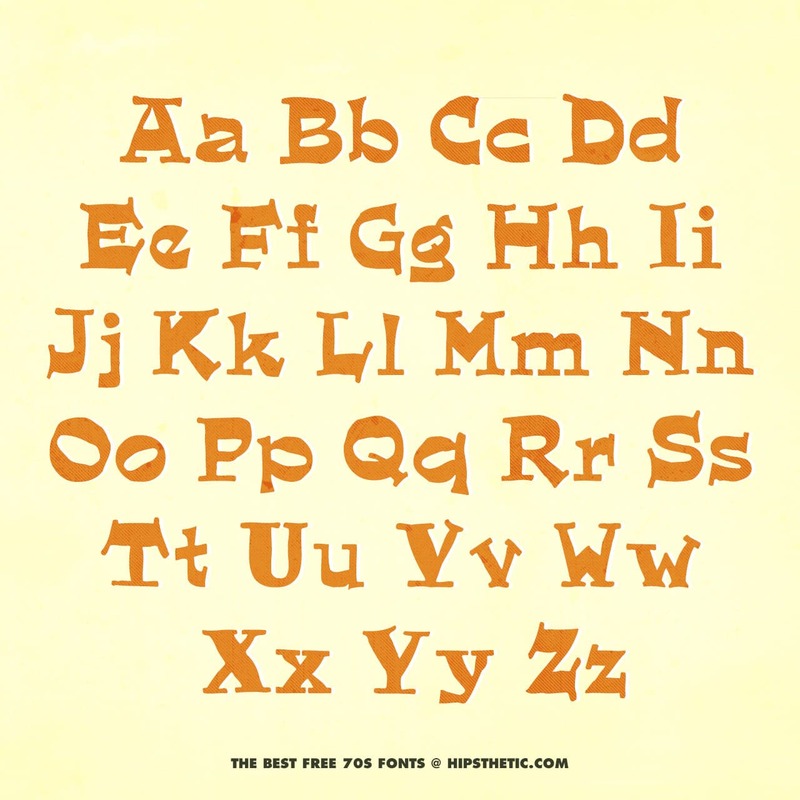 Created by Morris Fuller Benton in 1910 and since digitised, Hobo is typically oddball, rounded 70s-style font complete with perspective-bending, psychedelic bulges. Foundry Monotype’s response to the success of ‘Cooper Black’, used as a secondary font by Quentin Tarantino for 1997s Jackie Brown. 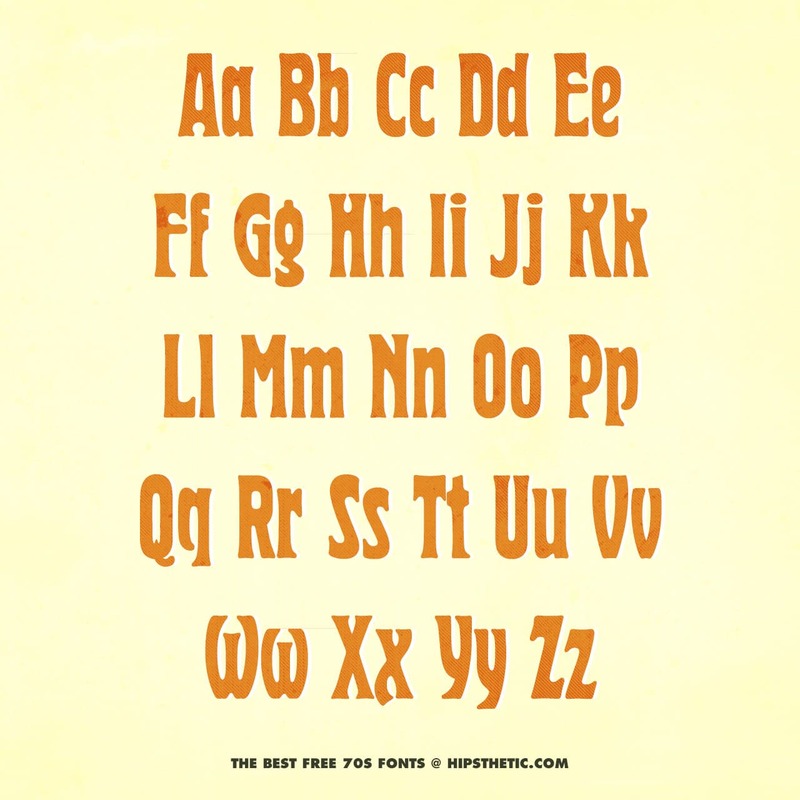 Created by the Berthold foundry in in 1904 but ideally suited to 70s-influenced print projects. 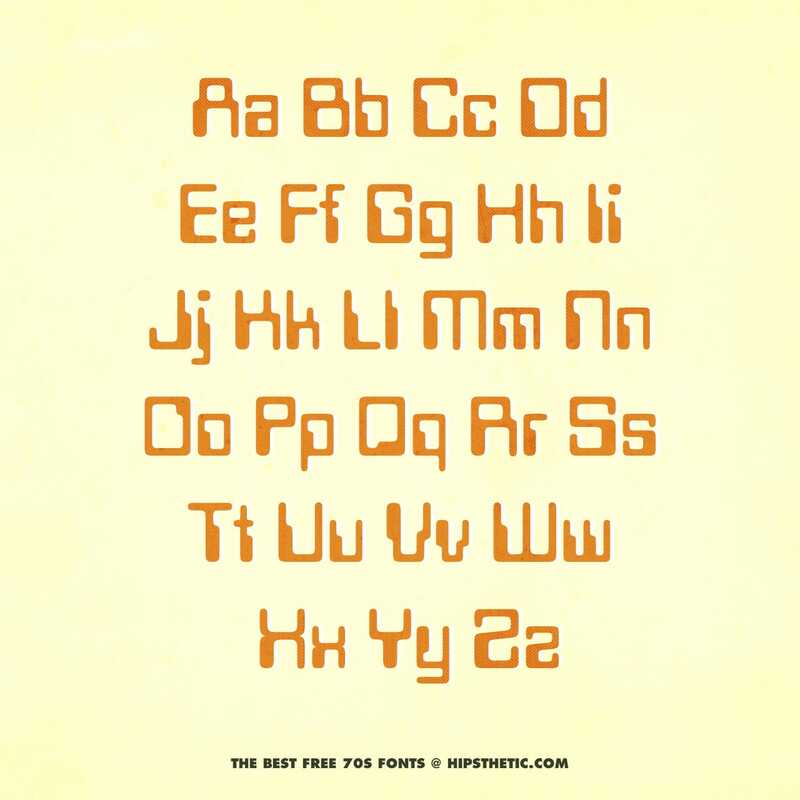 Created by Bob Newman in 1970, Data 70 is a pixel perfect font common to retro computer game packaging and early, sci-fi pulp fiction. 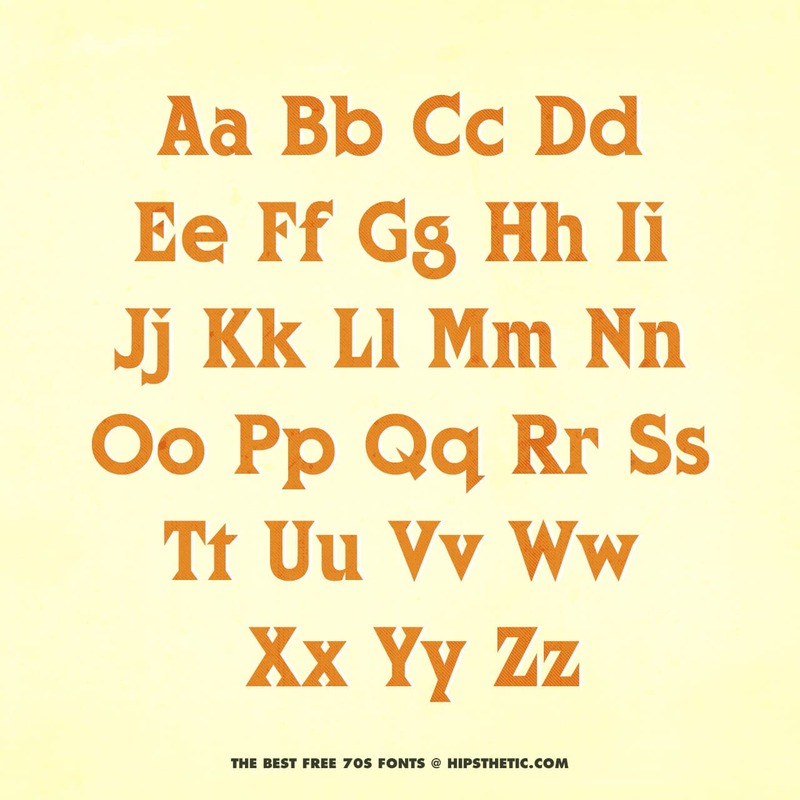 You might also want to check out our list of the 30+ Best Free Pixel Fonts. 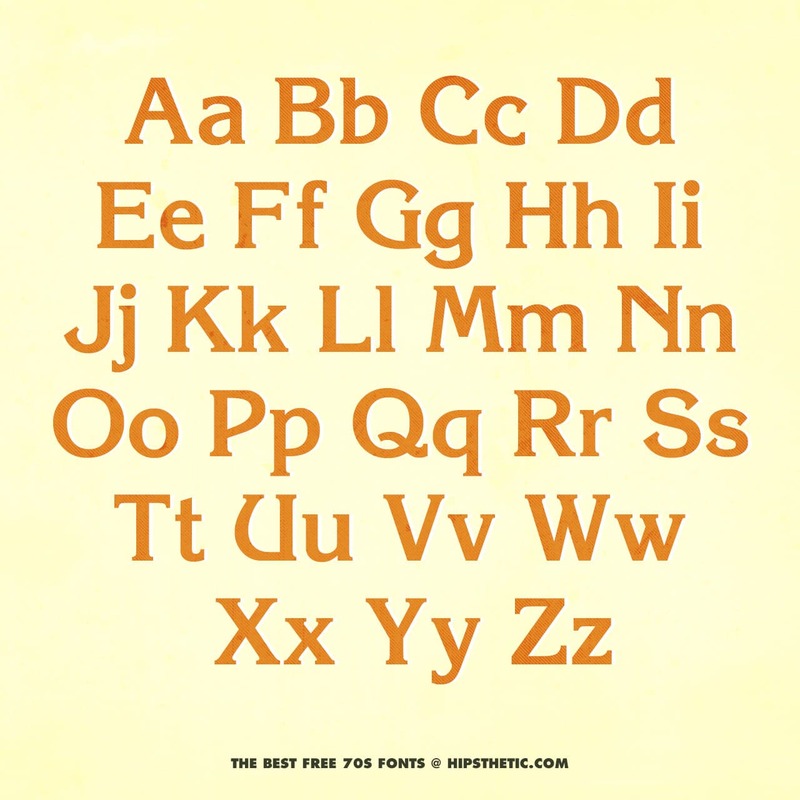 Serif detailing and loose spacing characterise Herold, which was designed by Hermann Hoffmann for Berthold. Created by Insanitype and based on the Kool-Aid logo, ‘Kool Beans’ packs a tonne of character and soul into it’s funk-inflected, flared form. 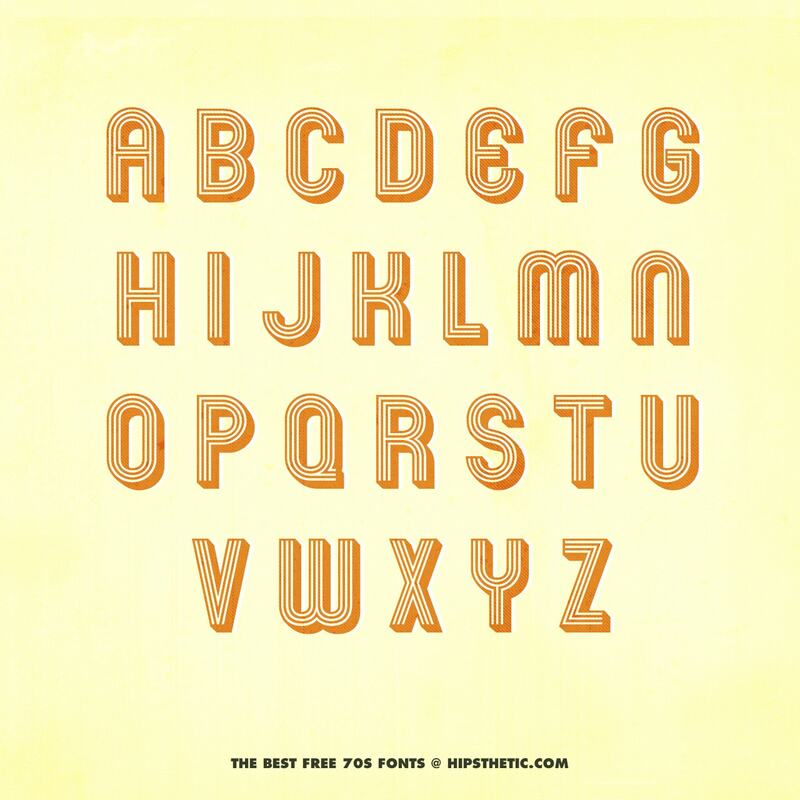 Pump Triline’s multi-line stroke is a classic design trope associated with 70s sports broadcasts and retro gameshow titles. Skin and Bones form is identical to Pump Triillines above, but instead it swaps out three squared strokes for two rounded strokes.